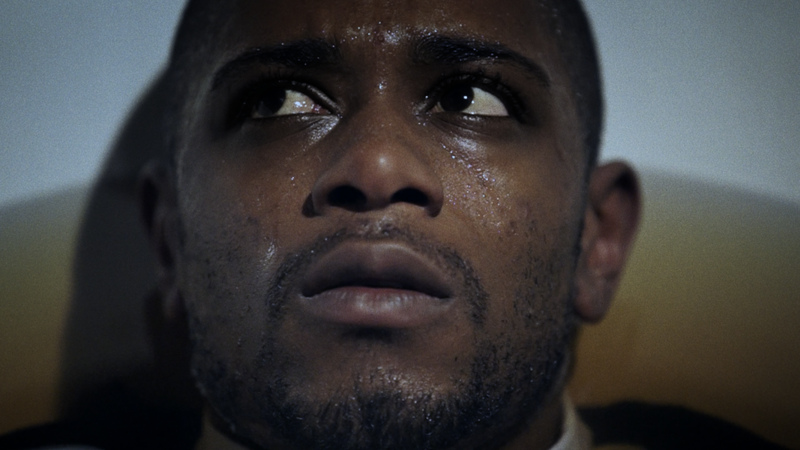 King Ripple, a 2015 psychedelic-horror short film starring Keith Stanfield (Short Term 12, Straight Outta Compton) and directed by DePaul University sophomore Luke Jaden, is one of several student-directed shorts boosted by the public television series Film School Shorts. The weekly half-hour program, which begins airing its fourth season on Chicago's WTTW 11 this Sunday, is the exclusive online distributor of King Ripple and The Listing, another of Jaden's shorts, as well as several other films that "push the boundaries of broadcast." Submitted shorts are handpicked by series producer Lisa Landi for online distribution or, if they can be edited to a "PG rating," broadcast as part of the Film School Shorts series on public television stations across the United States. 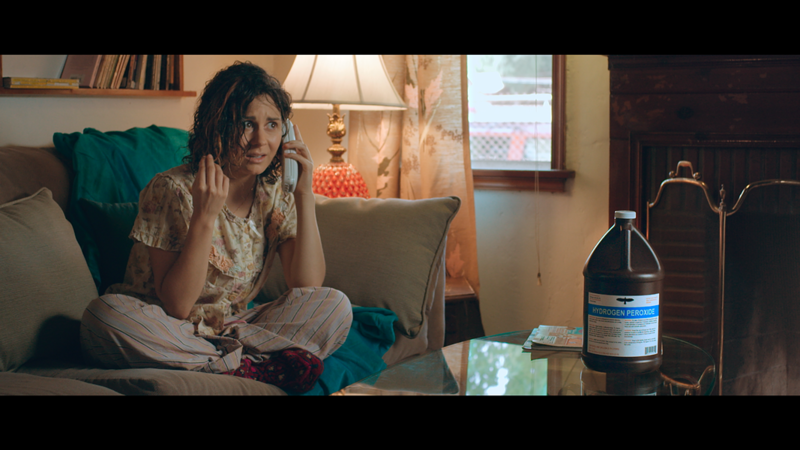 "Film School Shorts is a great way for us to engage with a new generation of filmmakers by using our megaphone to get their content out via national broadcast and our online channels, such as Vimeo, PBS Cove, and YouTube," Landi says. "It's easy enough to make your film available online, but by and large national broadcast still offers an audience much larger than streaming and the festival circuit." The series is produced by San Francisco's PBS affiliate KQED, which has aired more independent films than any other public broadcasting station in the country. Maurice Kanbar, the entrepreneur behind Skyy Vodka and a generous supporter of independent filmmakers, has provided funding for the show for its first four years. Landi, who is also Director of Program Distribution at KQED, oversaw the series's launch in 2012 and continues to manage the selection, acquisition, and online promotion of, on average, 20 shorts per year, which are then slated into ten 30-minute themed episodes. Landi says she and her selection team watch "hundreds of films each year" to determine the seasons' rosters. "We circulate our call for entries far and wide, schools send us their strongest work, and I attend various festivals to scout for acquisitions," Landi explains. "The show airs nationally, so our standards are high, but we don’t have preconceptions about the kind of film we want to feature." As a result, Film School Shorts' lineups have been consistently eclectic, a proud point for Landi. Although most entries tend to come from major institutions like NYU, Columbia University, UCLA, University of Texas, and USC, Landi says that one of the best parts of her job is finding "a gem from a lesser-known film program that may not have the support system that some of the bigger schools have in place." "We're always looking for diversity, in all its shapes and forms," Landi continues. She notes that she is particularly excited by some of the work coming out of programs "designed to promote diversity within the industry," such as the American Film Institute (AFI)'s Directing Workshop for Women. Concordantly, about half of Film School Shorts' season-four lineup consists of films made by young women, including Zelos, the season opener. Created by writer-director Thoranna Sigurdardottir while she was enrolled at AFI in 2015, Zelos is a science-fiction satire "about cloning and the contemporary pressure for women to balance a career and family." Other notable shorts on this year's bill include Sequin Raze, a cutthroat comedy starring Anna Camp (Pitch Perfect) that served as the inspiration for the Lifetime series UnReal; Busted on Brigham Lane, a poignant sibling drama starring Susan Heyward (HBO's Vinyl) and Rob Morgan (Netflix's Daredevil and Luke Cage); and, coincidentally, two films concerning racial profiling and refugees that Landi says "have a lighthearted, Wes Anderson-like feel": Rita Mahtoubian Is Not a Terrorist and Timmy II. I asked Landi what she considers to be some of the highlights from the show's four-year history, and she responded with a few of her favorites. · Short Term 12 — "It's from a smaller program (San Diego State), and it's as moving and well-acted as the feature-length version Destin Cretton made after graduating. And watching Keith Stanfield's career take off has been a complete pleasure! I was blown away by his understated, awesome performance in Miles Ahead, and we were thrilled to feature him again on our program in King Ripple." · Owl and Mouse — "This delightful five-minute film is one of my very favorites. It's adorable, which almost distracts you from the really touching story about opening yourself to the world and others. I often send it to people as a pick-me-up when I know they're having a hard day." 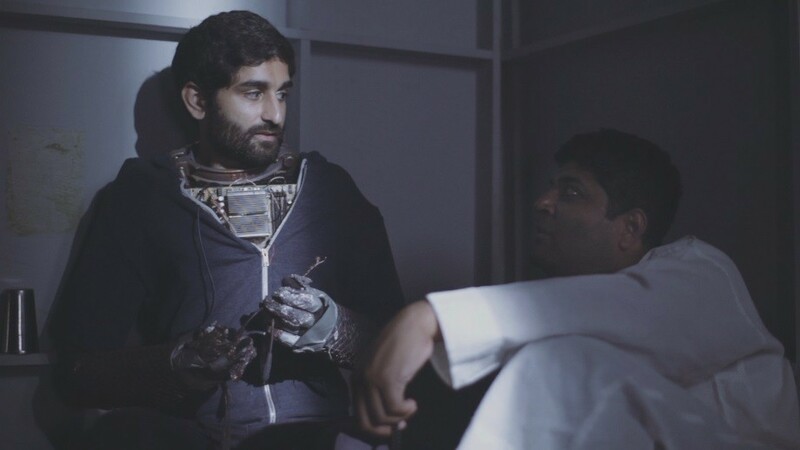 · Keep the Change — "This was the first film I'd ever seen with an all-autistic cast. It's moving and amazing. Director Rachel Israel is expanding the film to a feature. I can't wait." · I Feel Stupid — "I found this gem after hours of viewing in the marketplace at the Palm Springs International Shortfest. It's a pretty simple story about a young woman trying to impress another adolescent woman, but they just nail the details. I don't know that I've seen a film that does a better job of capturing the repercussions of the small compromises one makes when trying to fit in. The writer, Ana Lily Amirpour, went on to write/direct A Girl Walks Home Alone at Night; and the director, Milena Pastreich, is working on a doc that looks just fantastic called Birdmen." All of the above, except Short Term 12, are available to stream via Film School Shorts' YouTube and Vimeo channels. Film School Shorts airs Sundays (September 11-October 31) at 11:30 PM on WTTW 11. View the full ten-episode schedule here.